This continues our series of weekly roundups of the Fall/Winter Leagues. Coverage will continue every Monday into January. For the full list of Red Sox prospects participating in these leagues, check out our Fall & Winter Leagues page, which will be updated continuously through January. This week's roundup covers the period from January 8 to 14. 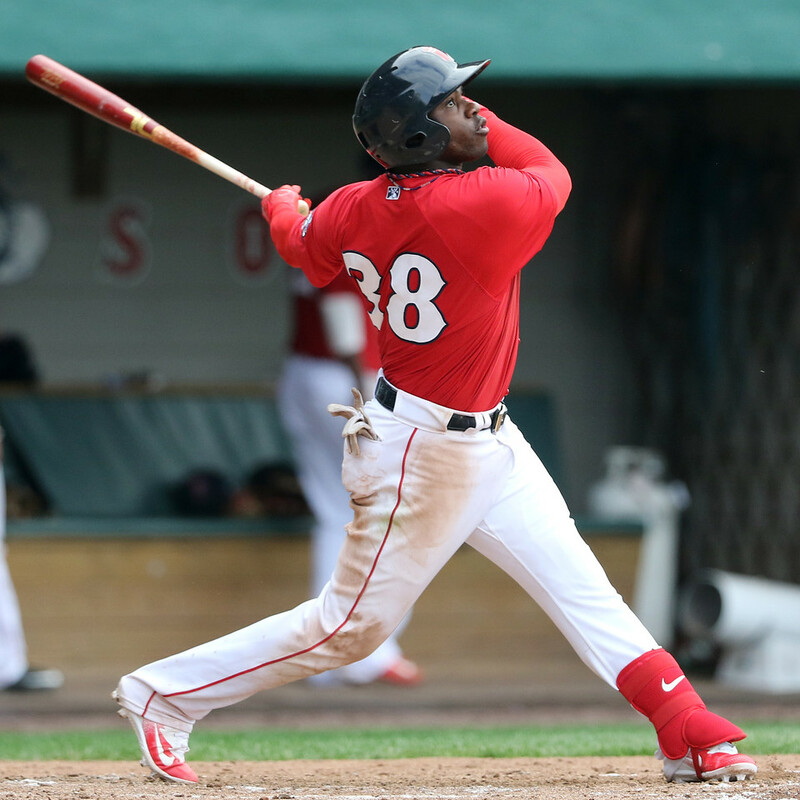 After struggling over his first three games, Rusney Castillo (pictured) broke out this week. He went 8 for 21 over six games, with two home runs, a double, and one walk to go along with two hit-by-pitches. It was a rougher week for Ivan De Jesus Jr., as he went 4 for 18 with two doubles and three walks. Jeremy Rivera performed well in limited playing time, going 1 for 3 with a double and two runs scored, and Joseph Monge went 0 for 1 in his first appearance of the season. In the first game of the semi-finals, Hector Velazquez got the win for Navojoa. He was able to limit the damage to only one unearned run despite allowing eight hits over five innings while striking out only two. His team is now up 3-1 in the series and is one win away from advancing to the finals. For the second week in a row, no Red Sox prospects saw action in the playoffs. The round-robin semi-finals will continue through January 18. Juan Hernandez and Deiner Lopez have been the only players seeing playing time over the last few weeks, and both Hernandez's Anzoategui squad and Lopez's Lara team are in the semi-finals, playing Caracas and Magallanes, respectively. Hernandez appeared in one game as a pinch-runner, while Lopez did not see any action. Daniel McGrath saw action for the first time in a month, allowing one run on one hit while recording two outs.